Dr. Rainer Strohmenger is a General Partner and Managing Director at Wellington Partners (www.wellington-partners.com), a Munich-based venture capital firm with offices in London and Zurich, with more than € 1.0 billion under management and activities in life sciences and information technology. Joining Wellington Partners in 1997, he became a Partner in December 2000. His 21 years of investment activity have involved financing more than 25 start-up companies including some of the most successful European biotech, medtech, diagnostics and healthcare IT companies as well as 6 IPOs and numerous successful trade sales. Prior to joining Wellington Partners, Dr. Strohmenger was involved in medical research with a primary focus on cardiovascular physiology and in research on health economics at the Ludwig-Maximilians-University in Munich, Germany. Dr. Strohmenger holds a M.D./Ph.D. in Medicine as well as a M.Sc. in Economics, both from Ludwig-Maximilians-University in Munich, Germany, and was trained at the Entrepreneurship Center of the MIT, Boston, USA. Prof. Dr. Erich Schlick is a General Partner and Managing Director at Wellington Partners (www.wellington-partners.com), a Munich-based venture capital firm with offices in London and Zurich, with more than € 850 million under management and activities in life sciences and information technology. 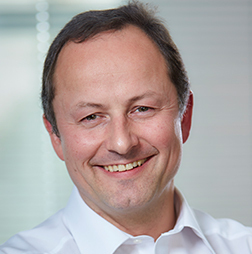 He joined Wellington as a Partner for Life Sciences in October 2005 and has since then been responsible for a number of successful European biotech and medtech companies. Before this, he served as Director and Head of 3i Healthcare Germany and as Deputy Sector Head of 3i Healthcare Worldwide. Prior to venture capital, Prof. Dr. Schlick spent 15 years with BASF Pharma / Knoll AG, 10 years thereof as an executive board member with worldwide responsibility for preclinical and clinical R&D. During this time, he obtained worldwide registrations for several products in cardiovascular, metabolic and pain indications. In 1993, he established the partnership with Cambridge Antibody Technology (CAT), which led to the successful development of the blockbuster product Humira, the first fully human therapeutic monoclonal antibody for treatment of rheumatoid arthritis and other autoimmune diseases. Dr. Wolfgang M. Baiker studied medicine in Bochum, Berlin, Ulm, Munich and Sheffield (UK), and gained his executive MBA at Pace University (New York). Dr Baiker started his career in the Pharmaceutical Industry in 1989 in Clinical Development at Dr. Karl Thomae GmbH, an affiliated company of Boehringer Ingelheim. From 1991 to 1993 he gained experience in US clinical research at Boehringer Ingelheim Pharmaceuticals in Ridgefield, CT. Between 1994 and 1998 Dr Baiker established International Project Management at Boehringer Ingelheim in the US. From 1998 to 2004 he was responsible for International Project Management at the Corporate Headquarters of Boehringer Ingelheim. Having lead Development at Boehringer Ingelheim’s largest development site in Biberach, Germany, since 2004, Dr Wolfgang Baiker was in addition responsible for global Development at Boehringer Ingelheim with sites in Germany, USA and Japan from January 2010 until May 2013. In June 2013 Dr. Baiker joined Boehringer Ingelheim’s Board of Managing Directors with responsibility for Biopharmaceuticals and Operations. 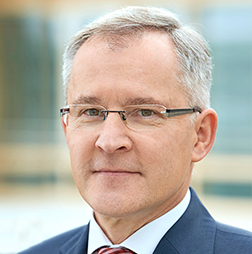 Since March 2018, he serves as the CEO and Country Managing Director for Boehringer Ingelheim in the USA. Jörg Fregien is the CEO of the three Life Science Incubator societies in Bonn as well as the subsidiary in Dresden. 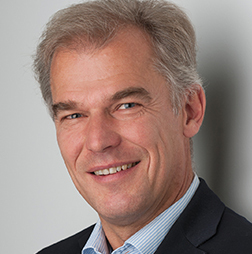 On an interim basis, he is also the CEO of the Photonik Inkubator GmbH in Göttingen. He is a qualified doctor of medicine and completed his doctorate on the subject of "RR variability in cardiac arrhythmias" at the Charité Berlin. He worked as a physician for a year in the department of cardiovascular diseases at the Mayo Clinic in Rochester, Minnesota. Mr. Fregien was employed for 17 years at three international medical technology companies. From 1990 to 1996 he worked for the US medical technology company Guidant, a subsidiary of Eli Lilly. Here, amongst others, he developed the endovenous electrodes system for ICD systems in his position as CSO Germany. In 1991 he became CEO of Guidant Medizintechnik GmbH & Co. KG in Germany and in 1993 he became Europe manager of Guidant Corp. St. Paul, Minnesota. In 1996 he moved to Biotronik AG Berlin, the European market leader for pacemakers and implantable defibrillators. He developed the ICD division and was responsible for global marketing/sales. From 1998 he was Vice President for pacemakers and implantable defibrillators. In 2001 he moved to Bauerfeind AG, Zeulenroda, a market leader in Europe for orthopedic medical technology. He became member of the board for Marketing/Sales and Business Development. In 2007 he founded the consulting firm JF Management for Integrated Medicine along with four other consultants. The consultations focused on new business models in the pharmaceutical and medical technology industry in Europe. He also advised the US company Medtronic and Boston Scientific. In 1996 he founded eucatech AG in Bad Kissingen which produces and sells coated and uncoated stent systems, as well as vascular catheters. In addition to his own start-up activities, he has penned several patents and expanded his network (federal and state ministries, transfer companies both nationally and internationally). He has always cultivated excellent contacts in the medical technology industry and in the associations of the industry. Hans-Ulrich is co-owner and managing director of a German Multi-Family-Office. He offers consulting services to UHNWI in the area of strategic asset allocation, manager selection for liquid and illiquid assets, direct investments into German small-cap and biotech-companies and direct investments in real estate. Hans-Ulrich is a member of several advisory boards in the biotech industry. Since 1999, in addition to his German activities, Hans-Ulrich is managing director of the family owned French winery SC Château Pigoudet, Rians. Prior to this Hans-Ulrich worked for one of the largest German food wholesaler as head of branch office in Munich and marketing and sales manager in Berlin. He started his career as Trainee at Dresdner Bank, Hamburg. Hans-Ulrich holds the degree Diplom-Kaufmann from Universität Mannheim. During his studies he focused on finance, banking and logistics. As Member of the General Management of Max-Planck-Innovation GmbH Ulrich oversees the technology transfer office´s spin-off activities and portfolio management. 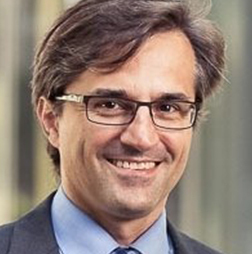 Since 1998 he advised and supported numerous start-up companies and served as chairman, member or observer on several advisory or supervisory boards. 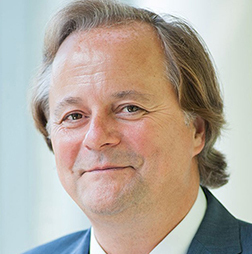 Ulrich took a leading role in establishing and financing several incubators and served as board member of ASTP, the european technology transfer association. He is jury member for the pre-seed grant scheme „EXIST Forschungstransfer“, member of the investment board for the regional venture fund „Wachstumsfonds Bayern“ and member of the advisory board of two start-up incubators. Following his diploma in business economics (Ludwig Maximilians University Munich) he initially worked for a leading IT distributor where he oversaw the Hewlett-Packard product portfolio with sales over €130m.